The coasters feature the National Suicide Prevention Lifeline number, the Crisis Text Line number and a suicide prevention website on both sides. PULLMAN, Wash. – After the Washington State University community lost quarterback Tyler Hllinski to suicide in January, the #3 Memorial Fund began working to raise awareness around suicide prevention and end the stigma associated with mental illness. The Fund is made up of Pullman business owners, WSU students and community members who have dealt with mental health issues, or those who have lost friends or family members to suicide. Thanks to the support of 21 Pullman businesses and their supporters on February 20 during Dine Out for #3, The Fund ordered 10,000 drink coasters, according to a release. The coasters feature a design on each side, with one side featuring a young man who appears to be in distress, and the National Suicide Prevention Lifeline number (1-800-273-8255), the Crisis Text Line number (741741) and www.suicideispreventable.org on both sides. These resources will help Whitman or Latah County residents who may be struggling with thoughts of self-harm. 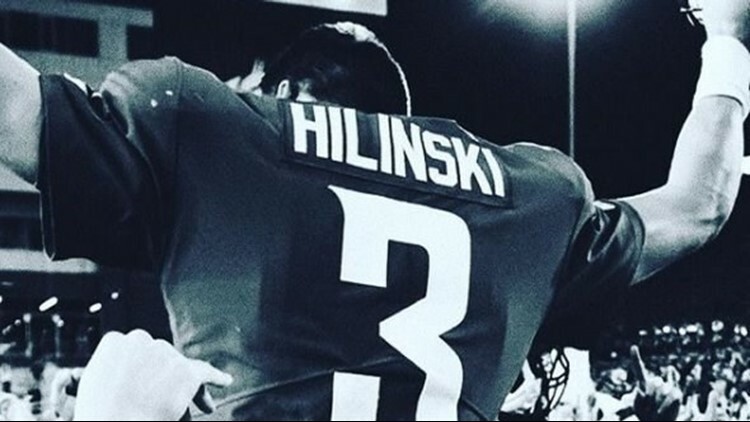 Though there is no evidence to suggest alcohol use was a contributing factor in Hilinski’s death, research has found that alcohol abuse is linked closely to suicidal behavior, according to the release. Forty-five bars and restaurants in two counties have been selected to receive the coasters. The #3 Memorial Fund blankets Pullman, Moscow, Colfax, Palouse, Uniontown, Troy, Potlatch and Genesee. If any other bars or restaurants would like to receive coasters and have not yet, they can request them by emailing The Fund’s chair Shelley Calissendorff at email2shelley@yahoo.com. “It is our sincere hope that these coasters may some day either save a life, or provide someone who is suffering with a resource to turn to that they otherwise would not have been aware of,” Calissendorff said. Calissendorff is a suicide attempt survivor who knows the struggles of isolation and hopelessness associated with depression all too well. She urges people experiencing suicidal thoughts to reach out. The #3 Memorial Fund believes that there is no substitute for the care of a mental health professional and encourages anyone to seek the assistance from a doctor or qualified therapist if they are feeling overly stressed, depressed, anxious, manic, or confused, or are experiencing any persistent mental, emotional or social pain or discomfort.